You are here: Home » Put on your bikini and slip into something delicious! Put on your bikini and slip into something delicious! The fabulous Naomi Blackburn has been promising for ages to come and visit me here in Florida…but since she is so super busy this month, she is instead sending four weeks of delightful cool drinks created just for poolside sipping. So grab your sun tan lotion, a bikini and let’s go. This Pool party is a month long, so be here every Wednesday and be ready to dive into the fun! August is swimming pool drinks for +Bette Lee Crosby‘s Midweek Mixers. When I came across this drink on Pinterest, I knew it would be the kick off this month. It is called THE SWIMMING POOL…creative ain’t I?!? This drink was different than what I thought it was going to be, but it had a gorgeous color partnered with a pretty unusual coconut and pineapple taste. 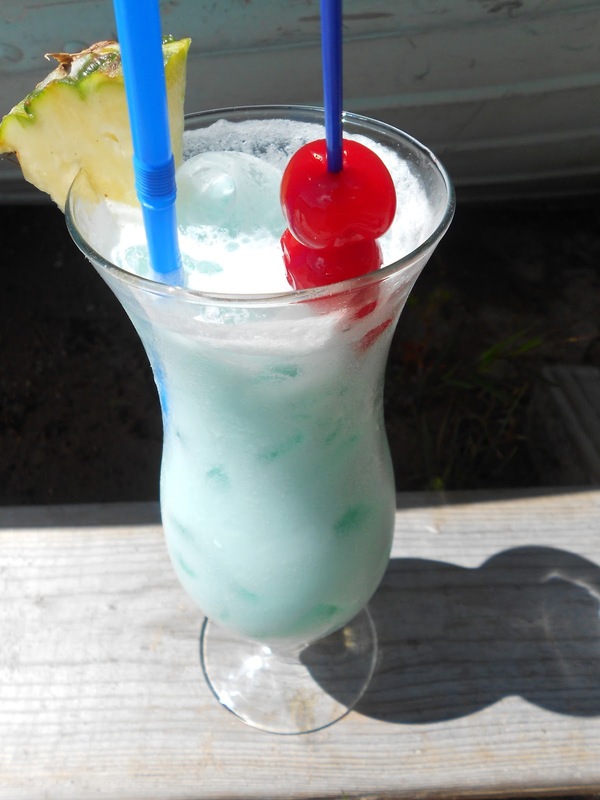 I loved the use of coconut milk instead of water in this drink and I LOVED the color blue it turned out. And there are absolutely NO calories, so jump in! LOL. I can see myself sitting back around the pool sipping is pretty drink. I promise that I will head down there. Be careful what you wish for…once you get me down there, I may never leave! You have a guest room AND a pool!